Owners of the new Samsung Galaxy S5 Verizon or AT&T variants may now get root access on their device, after GeoHot developed a tool that will root the Galaxy S5. Rooting your device will let you to get on with all things you've been wanting to do but couldn't. Along with the good news is a common warning for those who are keen on rooting their devices, especially as this tool is still in its early development cycle. This means that it is very likely to contain some bugs that may cause certain problems to occur later on your device. "Warning: Incorrectly following the procedure may result in a bricked phone. Proceed entirely at your own risk. Furthermore, you will void your warranty with this method, since it will increase your flash counter." In this regard, anyone who's dying to root their GS 5 handsets must be willing to take the responsibility for anything that might go wrong in the process. It's also wise for you to backup all your files and data prior to rooting. Once the device is rooted successfully, you may now easily alter or replace system applications and settings on the device. 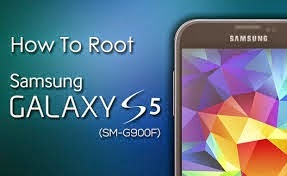 More details of the new root tool created for Verizon and ATT Galaxy S5 variants were originally available and posted over at the XDA forums website.